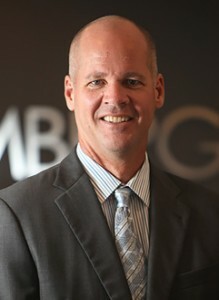 Stephen J. Estey is a founding partner of Estey & Bomberger, LLP. In February of 2012 and 2014, he was named “Trial Attorney of the Year” by the Consumer Attorneys of San Diego for his many record setting, eight figure verdicts and settlements. He has received three Outstanding Trial Lawyer Awards from CASD and was lead counsel in the California Supreme Court Case of Morris v. De La Torre (2005) 36 Cal 4th 260. Steve is an ABOTA member and has an AV-Rating with Martindale-Hubbell. He has also been named Super Lawyer for the years 2008-2014. In addition, he has been included in The National Trial Lawyer’s “Top 100 Trial Lawyers” since 2010 and The Best Lawyers in America since 2011. Finally, Stephen was chosen as a finalist for the Consumer Attorneys of California’s 2010-2011 Consumer Attorney of the Year Award. Steve is a member of the American Trial Lawyers Association, the Presidents Club of California Consumer Attorneys, the California Trial Lawyer Association, San Diego Consumer Attorneys, and the American Bar Association. Steve also teaches trial skills to other attorneys at various seminars throughout the United States, including most recently the annual CAOC Convention in San Francisco and the Melvin Belli Seminar in San Jose, CA. Specialties: Catastrophic Personal Injury; Car Accidents and Injuries; Dog Bites; Institutional Sexual Abuse; Slip and Fall; Products Liability; Construction Accidents; Product Defects; Brain Injury; Truck Accidents; Motorcycle Accidents; Bicycle Accidents; Airplane Crash Litigation; Elder Law; Nursing Home Abuse and Neglect; Insurance Bad Faith; Birth Injuries; and Wrongful Death.